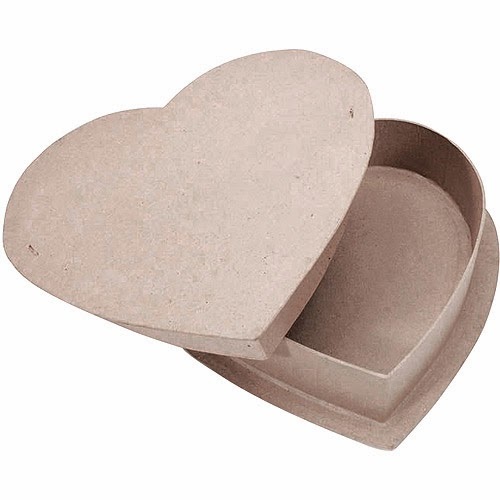 This is what I created with the heart box. 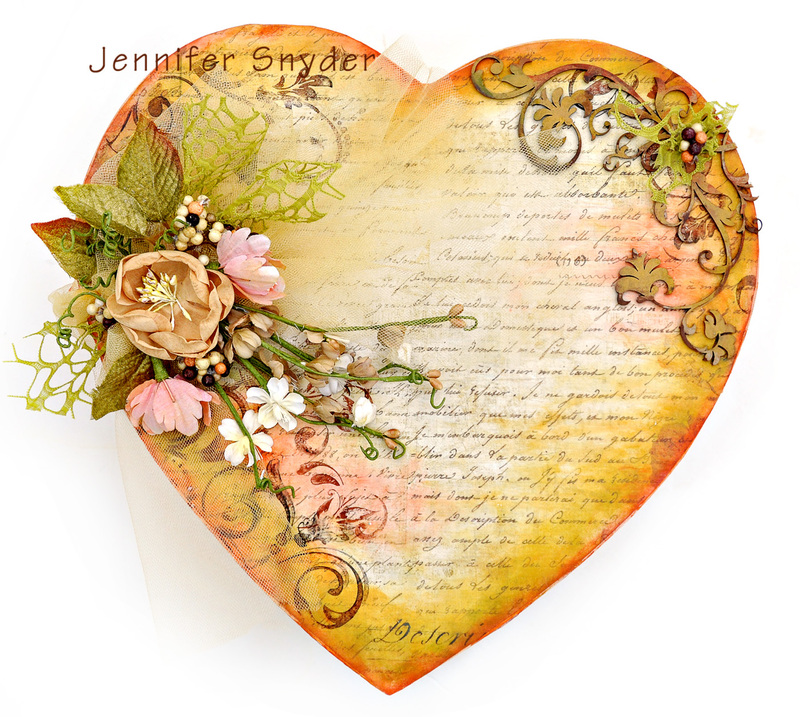 It is a large heart, spanning 11.5" x11.5" at it's widest and longest parts. 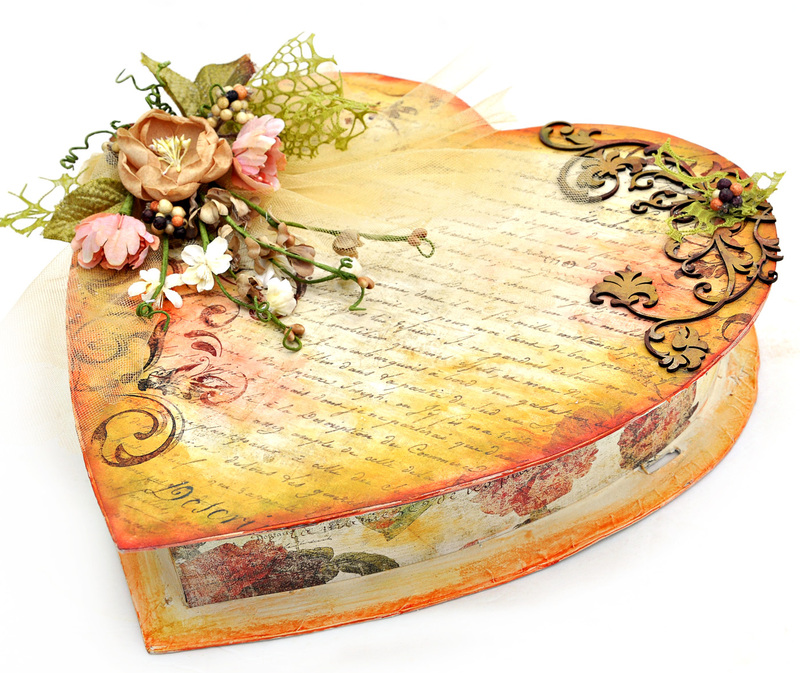 I think it would make a great place to store wedding photos or mementos from an anniversary, honeymoon or wedding. 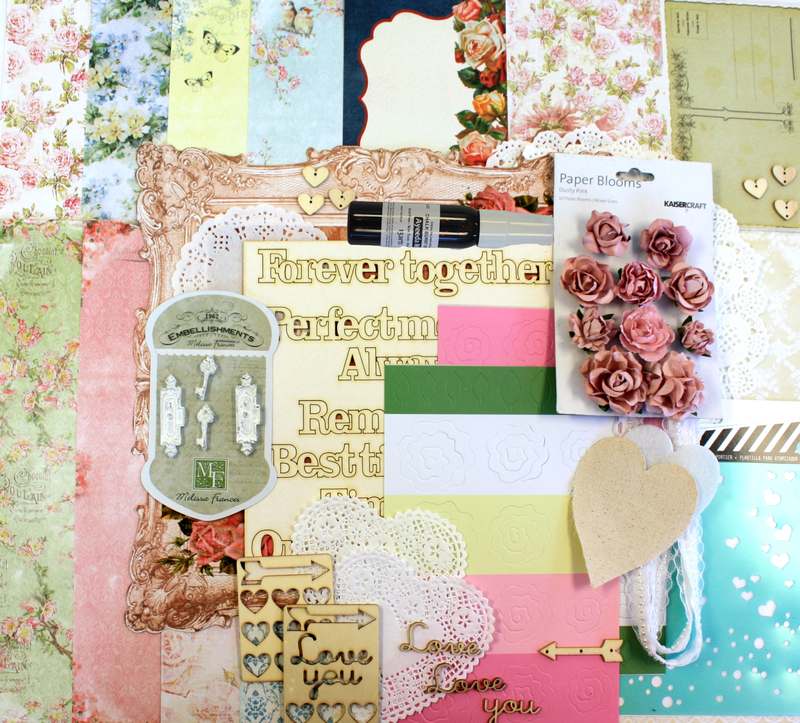 I choose the Prima Stationer's Desk Collection to cover the box because the Stationer's Desk Collection has a great vintage appeal to it - just the touch II was looking to achieve. 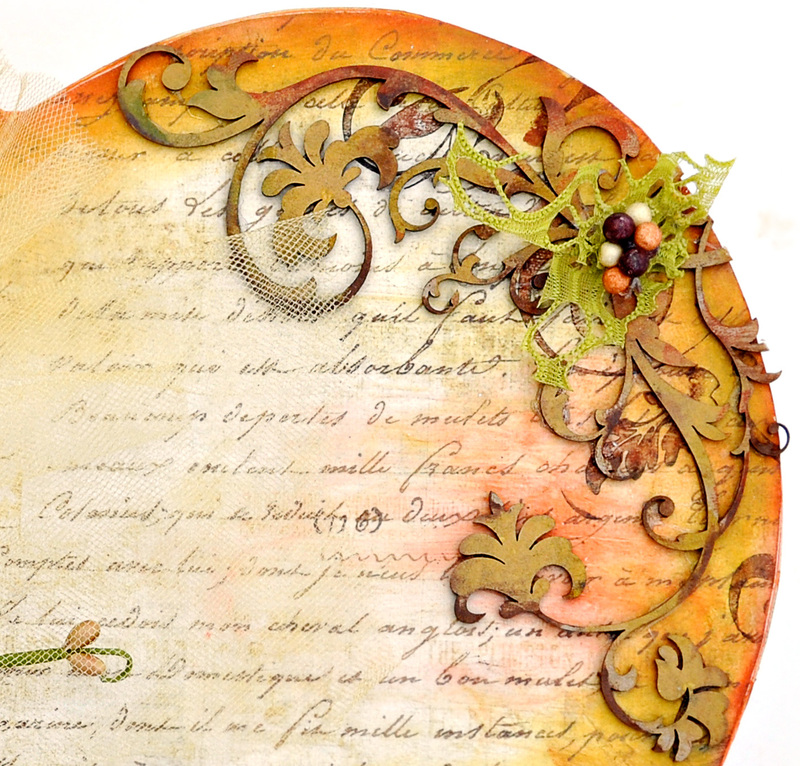 I stamped some flourishes but decided to use some Dusty Attic Chipboard as well and ink the chippy to blend it a bit. I inked it with Clearsnap Mixd Media Inx in Mossy, Vintage, Truffle and Black. The edges of the box have been inked with Clearsnap Mixd Media Inx as well and then blended with some matte gel medium so that the inks are well blended and smooth on the box. For the edges I used Mossy, Vintage, and Adobe. My clustering uses Prima Marketing flowers, some web weave from the Flying Unicorn store and some tulle that ties the box together like a hinge. The tulle is keeping the box together to make it open like a book. 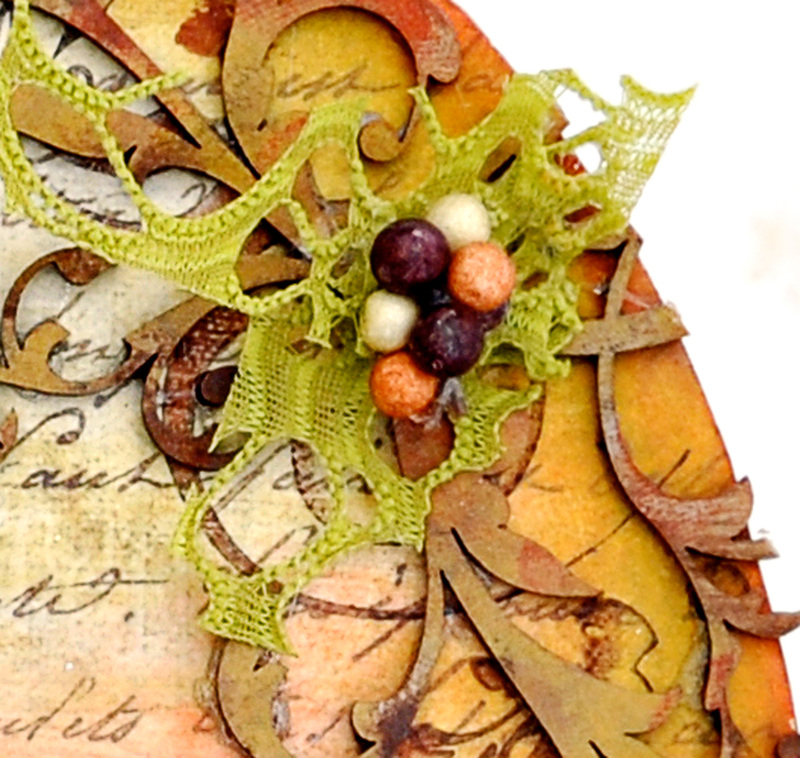 Just a close up of the chipboard and the web weave topped with some floral berries. Love your valentine heart. So pretty. 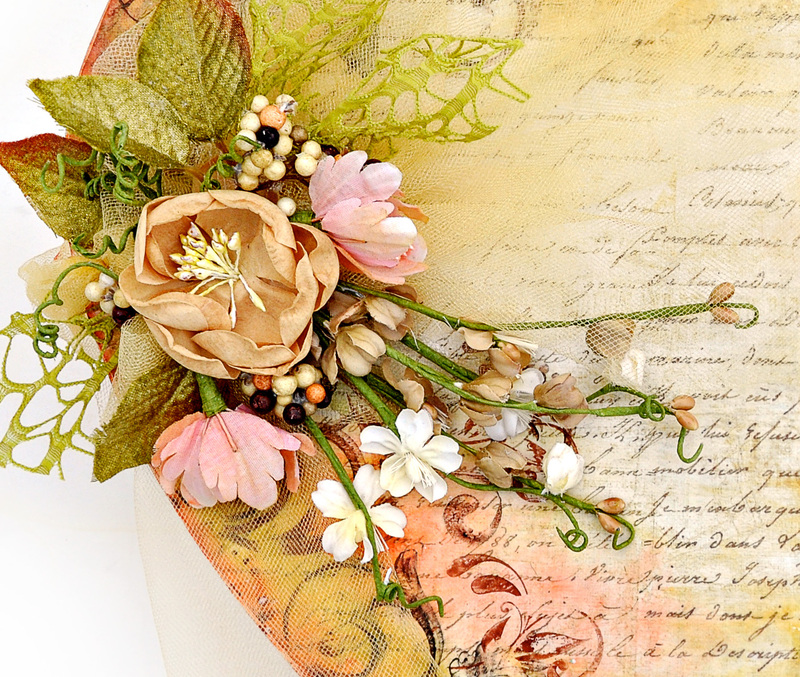 I saw your Etsy shop - you have beautiful layouts and pieces in there. Too bad you don't ship to Canada. Thanks for the inspiration!